A core part of our service offering to clients is asset evaluations; either through the provision of Competent Person’s Reports, Independent Reports, Independent Expert Advice or transactions related advice. RISC has extensive experience delivering these types of reports to Australian and International Entities. Our reports are relied on by clients, banks, shareholders and investors. Below are a condensed list of RISC’s most recent and notable Public Reports. 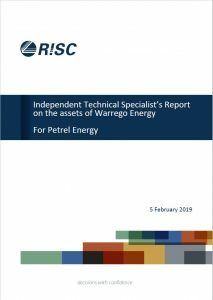 Petrel Energy Limited (Petrel) appointed RISC to provide an Independent Technical Specialist’s Report on the petroleum assets of Warrego Energy Limited (Warrego) pursuant to the proposed merger with Warrego Energy via a reverse takeover. The report documents RISC’s review of the prospective resources and associated work programme plans of Exploration Permit EP 469 (Western Australia). Both parties have since announced the reverse takeover has been successful, with Petrel acquiring all the shares of Warrego, including the North Perth Basin Exploration Permit 469. For more information please contact us, or to view the full report on page 21 of the ASX release please click here. 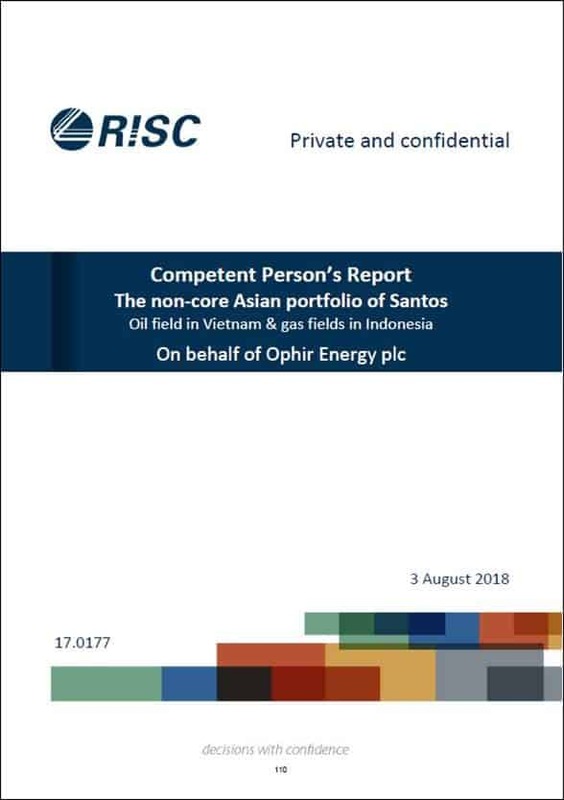 RISC recently completed a project for Ophir Energy PLC (Ophir) to provide a Competent Person’s Report (CPR) on Santos Limited’s (Santos) Asian assets, compliant with the requirements of a Class 1 transaction under the Listing Rules of the London Stock Exchange, for inclusion in a circular. RISC’s CPR successfully assisted Ophir to obtain approval from Shareholders for the proposed acquisition of Santos’ South East Asian asset package.Santos announced on May 3 the sale of its non-core Asian portfolio to Ophir Energy for US$221 million. For more information on our report please contact us, or to view the full report and circular document please click here. RISC was engaged by AWE’s Independent Expert Grant Thornton Corporate Finance to provide an Independent Technical Specialist reports on the Petroleum assets of AWE Limited (AWE) in response to the proposed takeover bid by Mitsui E&P Australia Pty Ltd. (Mitsui). The technical report documents RISC ‘s review of the petroleum reserves, resources and associated development schedules, production and cost forecasts. The takeover was successful, with Mitsui acquiring AWE for a total of A$580 million. To view RISC’s ITSR Report please click here. 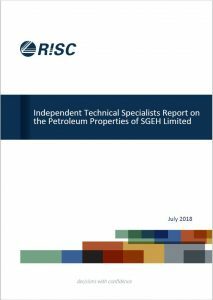 RISC was engaged by SGEH’s Independent Expert Grant Thornton Corporate Finance to provide an Independent Technical Specialist reports on the Petroleum assets of SGEH in response to the proposed Lone Star takeover bid. The technical report documents RISC’s review of the petroleum reserves, resources and associated Overall Development Plan (ODP), development schedules, production data, production and cost forecasts. The takeover was supported by Sino’s shareholders and the transaction was deemed successful, with Lone Star completing its proposed cash takeover offer for a total of A$530 million. To view RISC’s ITSR, please click here. 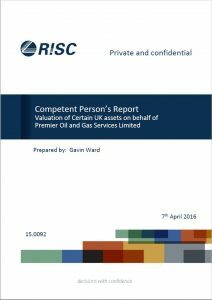 RISC was engaged by Premier Oil to perform due diligence and write a Competent Person’s Report (CPR) on the valuation of reserves and assessment of resources for the UK North Sea assets of German power and gas company E.ON E & P UK Limited. The CPR included the evaluation of seven producing fields for reserves and fields which have ceased production, two fields for undeveloped contingent resources, eleven discoveries and key exploration prospects and two processing terminals and pipeline gathering systems. To view the full CPR please click here. 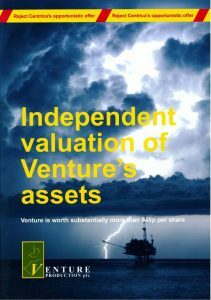 RISC was engaged by Venture Production to act as the Independent Valuer of Venture’s upstream petroleum assets. RISC’s Competent Persons Report formed part of the shareholder circular created in defence of the aggressive takeover offer by Centrica plc. Our evaluation reviewed over 80% of Venture’s assets(on a 2P reserves basis) predominantly located in the UK and Dutch sectors of the North Sea. To view the full CPR in Venture’s Shareholder Circular, please click here. For a full list of Public Reports previously completed by RISC, please contact us.